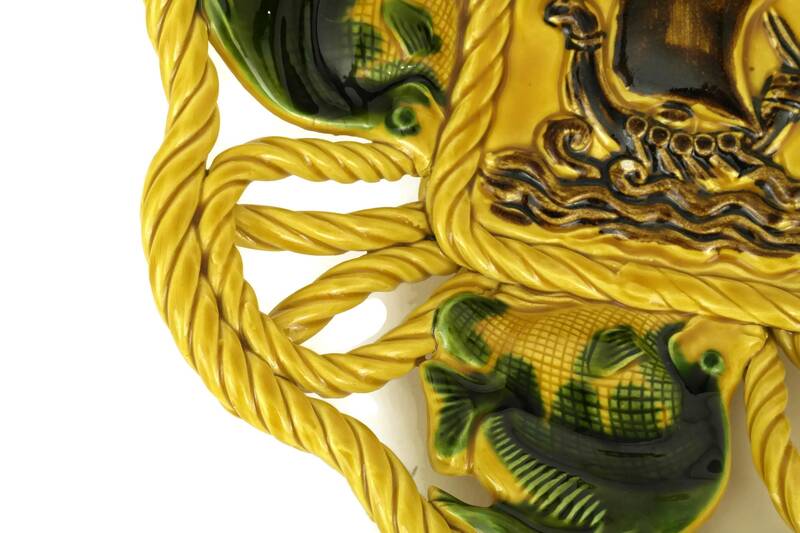 Mid Century Pottery Platter with Fish and Ship. 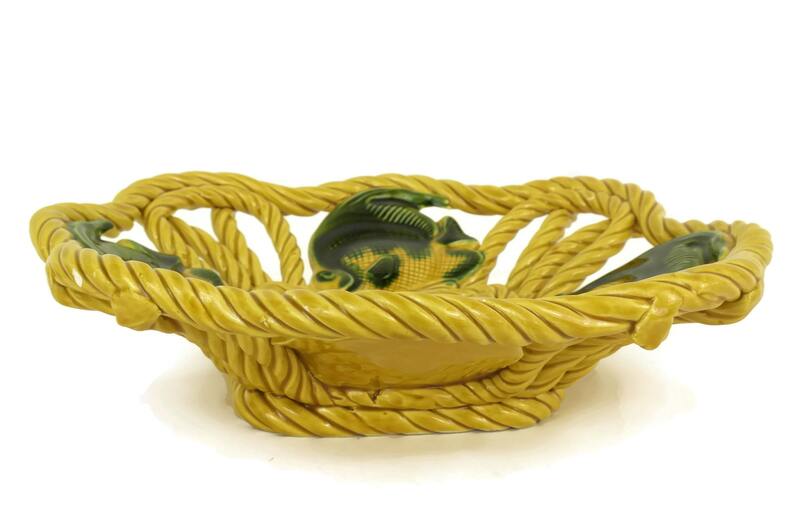 Green and Yellow French Ceramic Fruit Basket Table Centerpiece. 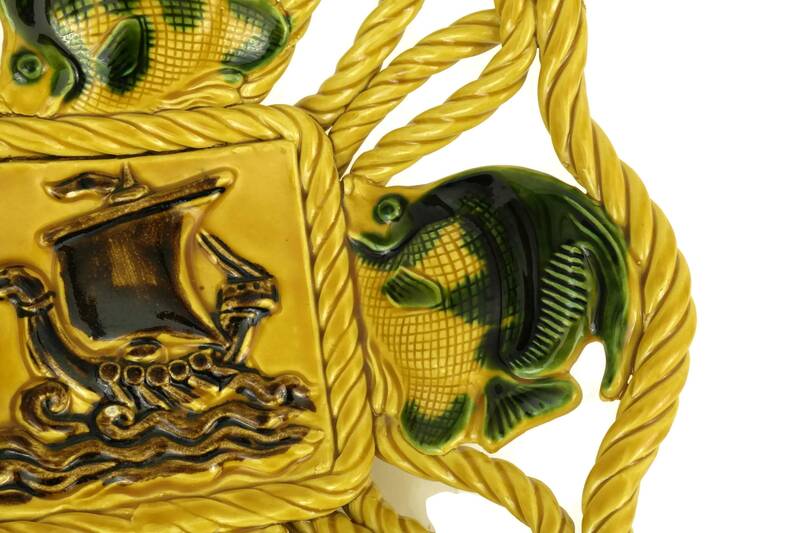 Nautical & Coastal Decor. 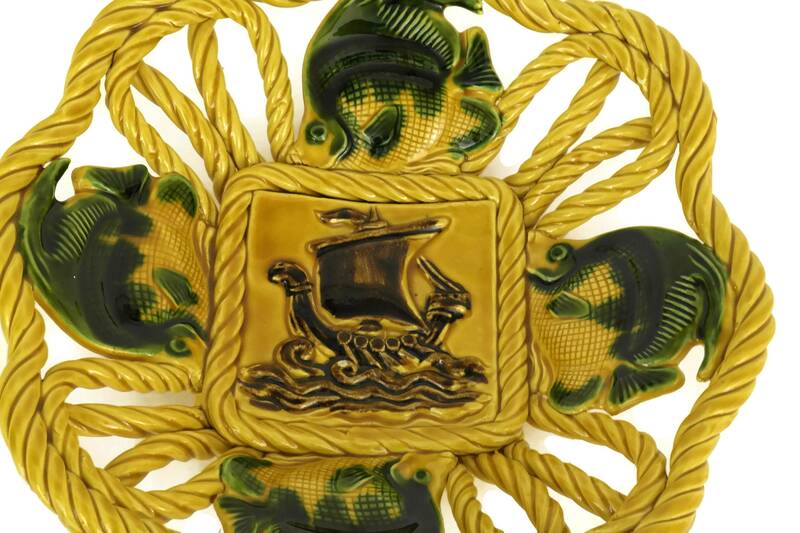 A large vintage mid century pottery platter decorated with a sailing ship and fish patterns. 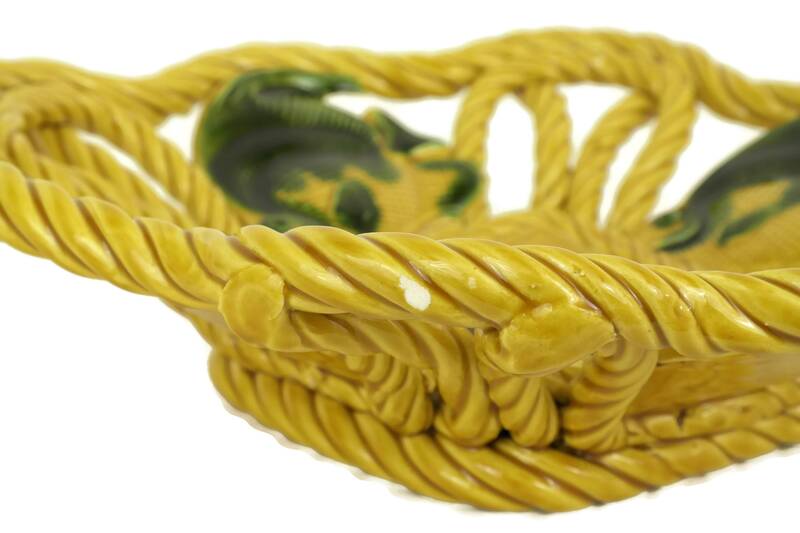 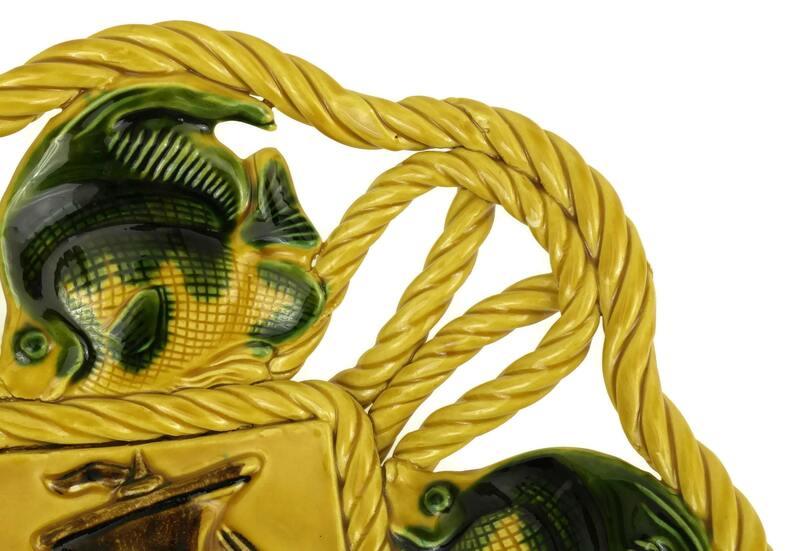 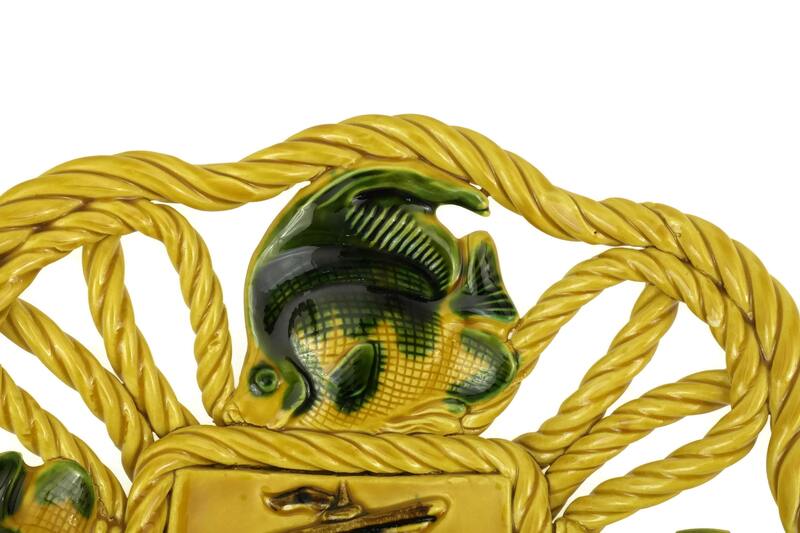 Made from French ceramic, the fruit basket has been glazed in vibrant shades of yellow and green and features a stylish braided cord design with deep sides and a square base. 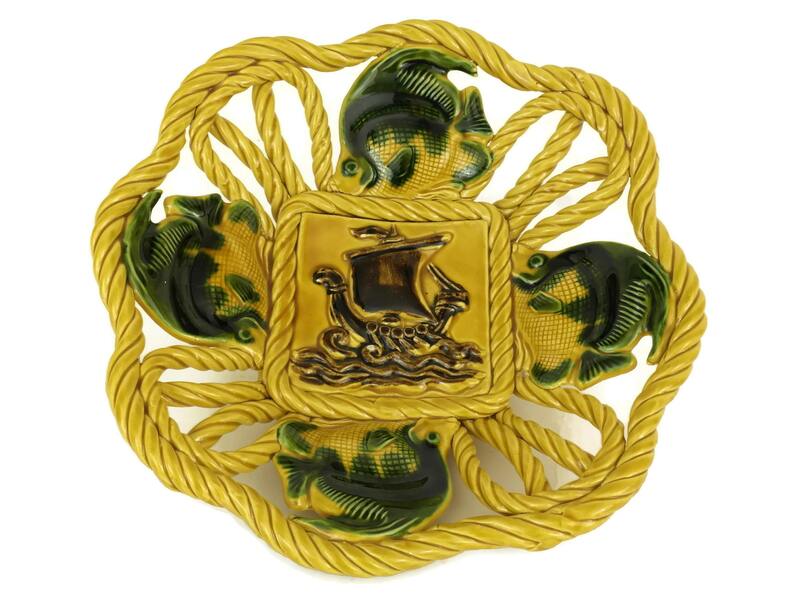 12" Wide x 3" Tall (30 cm x 7,5 cm). 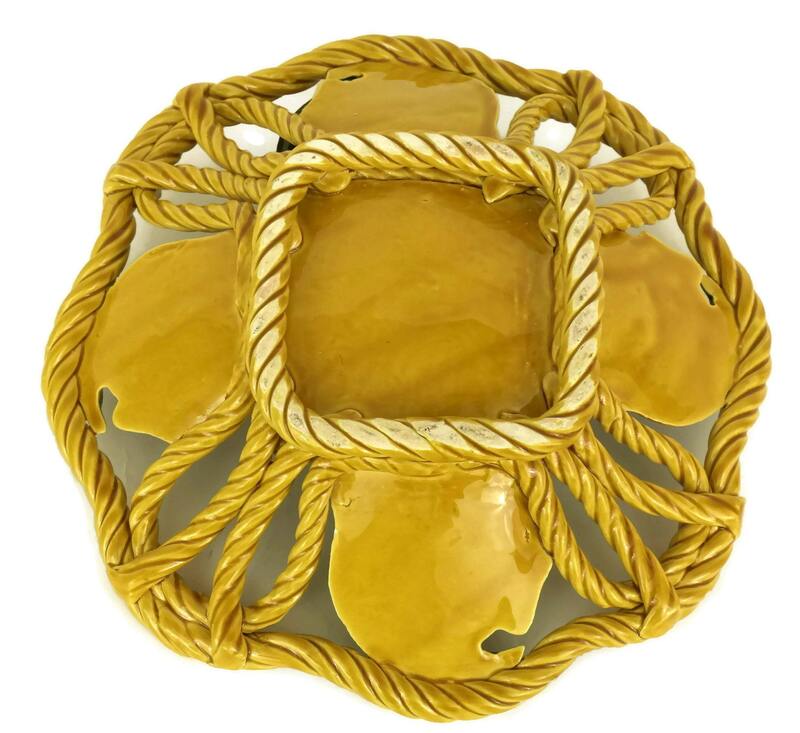 The yellow pottery table centerpiece is in very good vintage condition. 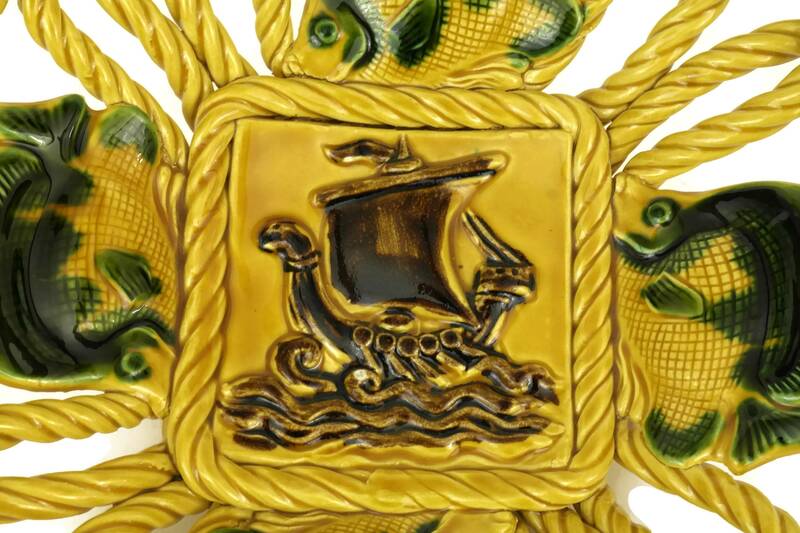 There are small flakes to the glaze on the bottom of the ship and around the top rim of the braided edge.